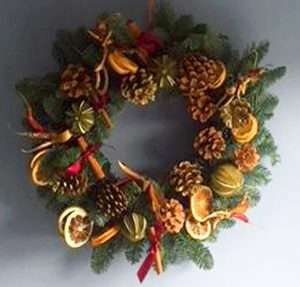 We are very excited to be once again running our Wreath Making Workshops with local florist Catherine Foxwell! Whether your tastes are traditional or you’re after something more unusual, with Catherine’s creative and diverse style you will come away with something beautiful. Each workshop is £50 per person including all materials, a mince pie & a glass of mulled wine and run for two hours.